Dance group Gabhru Panjab De (GPD), who are based in Sandwell and Birmingham, have been voted the ‘Best Dance Group’ at the UK Bhangra Awards 2014 in London. 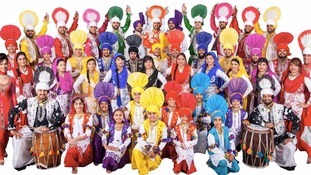 The group, who's title means "Youth of the Punjab" began in 1988 and have performed all over the world. "We are known for pushing the boundaries of dance both artistically and conceptually through constant contribution to the evolving entertainment industry. We are highly determined to continue our success, to improve ourselves even further and to inspire the next generation of performers”. “In 1988, our story started with six friends who had a passion for Bhangra, music and dance. Not in our wildest dreams did we imagine that GPD would grow into one of the most successful Bhangra dance groups outside of India to date". Bhangra in the UK has many roots in Birmingham. Many artists who are known worldwide live in the city, making it one of the focal points for the UK Asian music industry. 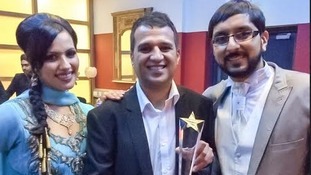 Click here for more stories about bhangra in the Midlands.